I really like the routes. This is my type of riding. 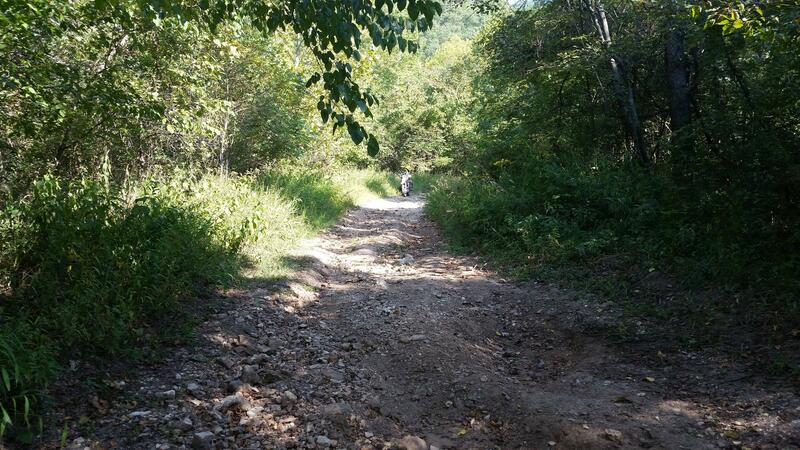 Mostly gravel, sightseeing, some woods, a few easy trails, and some stream crossings (some deep and one best skipped on a bigger bike) and a extra sections marked for better riders & smaller bikes. There was about 40~50 riders and you'll find a group that works for you if your solo and ask around. Tracks the last few years have been clones, minus the areas lost to gates each year. 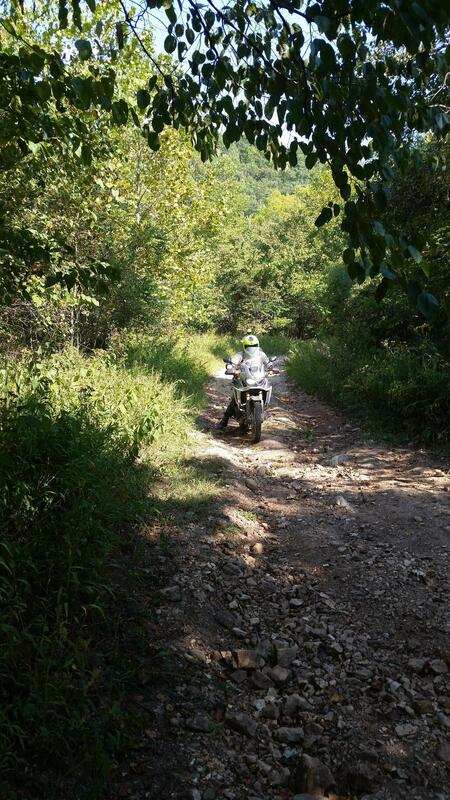 You could easily get the tracks and run from that small bike cabin place(?) in Central MO. Don't recall the name. Troy has gone there. I have driven by it a few times. 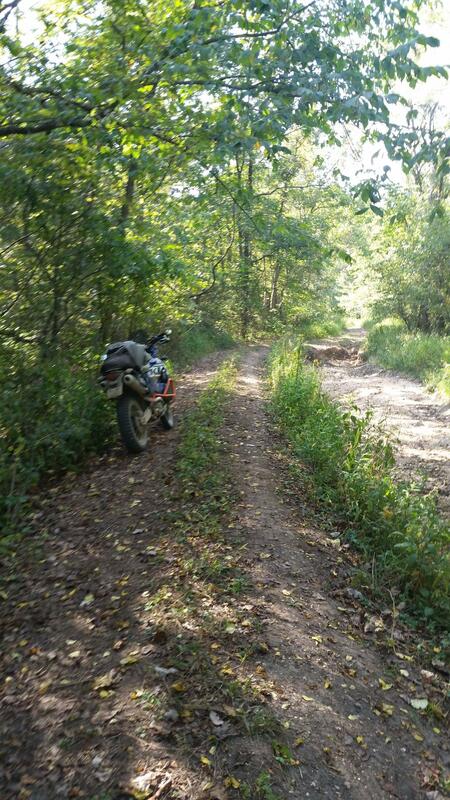 East and north of Eminence MO on a "road" that is now Water Branch creek really, Co Rd 306. There was no PHBR this year but EdM, Larry, Todd and I decided to head down anyways run as much as we could of it Friday and Saturday of Sieg's 2 days of tracks from last year. Heck of allot fun. Todd spilled and got some water in his bike, that took abit of time to fix. But with some luck and trial and error it was up and going in a hour. If you have never ridden in that area you should. These pics are the "worst" of it. 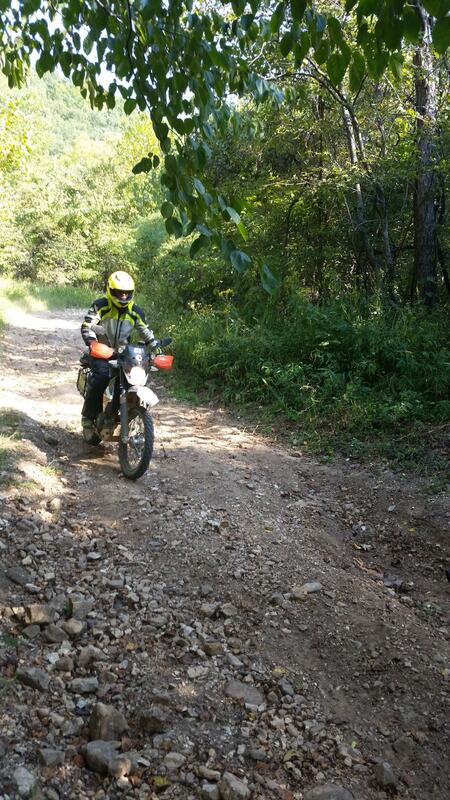 Once we got off that creek we were ready for some scenic gravel and no more hard stuff the rest of the day. We all went down at least once in there, except for Ed. Its a good mix of easy, moderate and hard stuff. It was good to meet up with EdM. I'd say we all had a lot of fun. 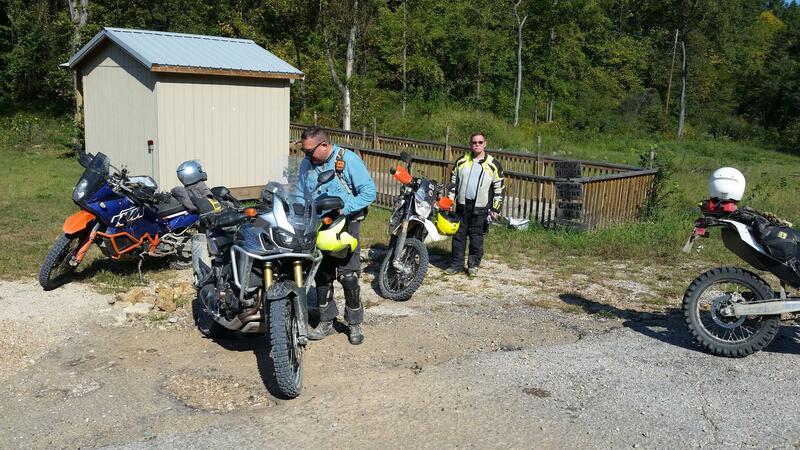 It was great to finally meet up and ride with you guys, thanks again for the invite. 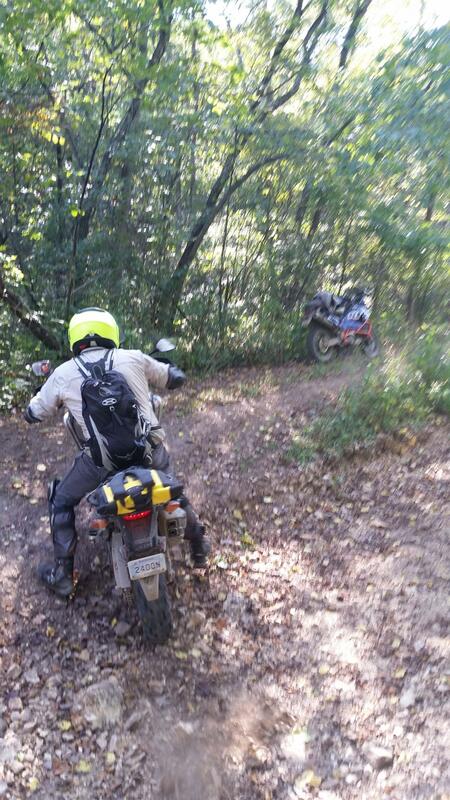 It was interesting to watch the rear tire of that Africa Twin when it went into traction control mode.